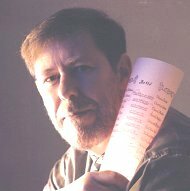 Dr. René Jetté was born in 1944 at Saint-Hyacinthe (Québec). He is an historian (M. A., 1970), a demograph (Ph. D., 1980) and a genealogist. He has taught History at the Collège d’Éducation Générale et Professionnelle (CéGEP) de Saint-Hyacinthe from 1967 to 1999. He also has been a part-time researcher with the Programme de recherche en démographie historique (P.R.D.H.) at the Université de Montréal, and with the Institut Interuniversitaire de Recherches sur les Populations (IREP) at the Université du Québec at Chicoutimi. Dr. Jetté has been a practicing genealogist for more than 40 years. He has published a dozen marriage repertories including Benoit Pontbriand, Sillery, 1968-1970, the Dictionnaire généalogique des familles du Québec des origines à 1730 (Les Presses de l’Université de Montréal, 1983, 1176 pages), the Répertoire des noms de famille du Québec des origines à 1825 with Micheline Lécuyer (Institut généalogique J. L., Montréal, 1988, 201 pages), and a Traité de généalogie (Les Presses de l’Université de Montréal, 1991, 720 pages). I received this morning the charming memento of the award your Society has sent to me, following the April 12, 2003 celebration. Moreover, I find very useful the celebration booklet, which gives me a good idea of the AFGS’s accomplishments in 25 years. I thank you very much for your appreciating my genealogical work. May it serve at least another 25 years, at least as a complementary source to the many other works which were, are and will be published on paper, CD-Rom, etc, in the years to come. My health is at a lost, by this award from a French-Canadian genealogical society from the U. S. A. illuminates my last times on this planet.